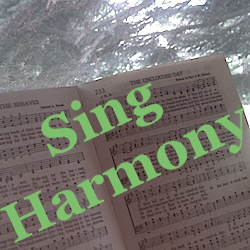 To learn how to sing harmony for displayTitle, in the app above click “load piano” and select the song. To hear a part individually, click the S,A,T, and B buttons to eliminate voices. This is also available as an app for Apple and Android. Make sure your device is not on vibrate! If you prefer our old learning videos, the images at the bottom of this page will link you to them. Decide which part best fits your voice. Start by taking a guess: if you're a girl, you'll probably want to sing either the soprano or alto part. If you're a guy you'll probably want to sing either the tenor or bass part. If you're having trouble with one, try a different one. Sing the part you enjoy the most. Some guys may actually want to sing the alto and soprano parts an octave lower. Listen to your part by eliminating all of the voices except the one you are singing. Learn it really well, so that you can sing your part with any of the verses. If you don't read music, just look at the words, listen to your part, and sing along. Get help from a musical friend if you need it. Turn the other voices back on. If you can sing your part while hearing the other parts too, you're ready to go sing in church. Belt it out as loud as you can! 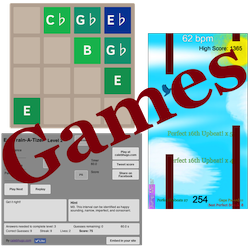 Print off the music (click here for a printable PDF) and practice in a group. Find some friends to sing a few other parts and see if you can hold it together a cappella. This will reinforce your ability so that it can be permanent, and will also decrease your need to hear your part in order to sing it.